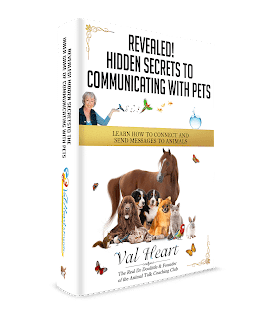 Animal communication, also called dog or cat or horse whispering, is an important skill every animal lover needs to know. And with a little coaching and practice, you can learn how to talk to animals yourself. Interested in learning powerful insights, animal talk tips on using animal communication to improve your pet’s behavior, help them heal, or cope with loss? Join me as I interview professional animal communicator, author and healer Philippa Kingsley! If you love animals, you need to be here! We’ll be teaching you important tips about talking to animals, healing, coping with loss, and improving behavior. Unlock the mysteries behind how animals think, feel and reason. Understand the amazing world of animals from their uniquely brilliant viewpoints. Access their wisdom, their guidance and inspiration to help you be a better human being. Join me and my guests as we discuss how animals communicate telepathically with each other and how humans can learn to speak their language, to hear their voices, to learn from their wisdom. In each episode, you’ll learn more about using animal talk to solve pet behavior problems, enhancing training and performance issues, helping animals heal, about easing transitions, finding lost/missing animals, and reconnecting with pets in the afterlife…, and SO much more. Each guest interview will last approximately 10 to 15 minutes and will live streamed on Facebook, Google Plus Hangouts on Air, and the www.AnimalTalkCoachingClub.com website. ​Why am I hosting this series of live interviews and free animal communication training? After all, I could be charging a lot of money for this ground breaking training. My personal vision is to help teach 1,000,000 animal lovers to understand their animals, to hear their voices, to grow, evolve and heal. When we do that, we will change the world. I can’t do this by myself. Will you join with me? Please, don’t keep this a secret! Tell your friends!